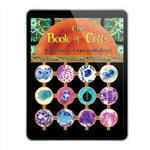 Likely to be “Mac” DeMay’s final guidebook in the realm of cytologic diagnosis, the new beautifully illustrated, informative and very practical Book of Cells is the ideal companion for the everyday diagnostic practice of pathologists and medical lab professionals. Dr. DeMay’s books are highly respected and renowned for their Illuminating text and brilliant images. This portable reference guide condenses and updates the encyclopedic information contained in the iconic 4-volume Art & Science of Cytopathology, 2nd Edition, making it the perfect handy reference guidebook for every lab.